Organ recital by Maltese leading organist Hugo Agius Muscat on St George's Basilica historical organ. 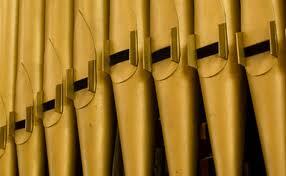 Dr Hugo Agius Muscat started studies in organ performing in 1977. He obtained the Licentiate diploma of the Royal Schools of Music (LRSM) in organ performing in 1992 and the Certificate of the Royal College of Organists (CertRCO) in 2008. In 1983, he was appointed titular organist at St Paul's Anglican Pro-Cathedral, Valletta, a position he still holds today. He made his solo concert debut at St John's Co-Cathedral, Valletta, in 1984. He has played in major cathedrals and churches in cities across Europe, including Vienna, Salzburg, Innsbruck, Eisenstadt, Budapest, Tallinn, Stockholm, Paderborn, London, Warwick, Edinburgh, Dublin and Rome. He has accompanied many soloists and choirs in Malta and abroad, including the world-renowned tenor Joseph Calleja. In 1999 with Luciano Buono he edited the book Old Organs in Malta and Gozo. In 1998 he founded the St Paul Choral Society, and has been its Music Director since.